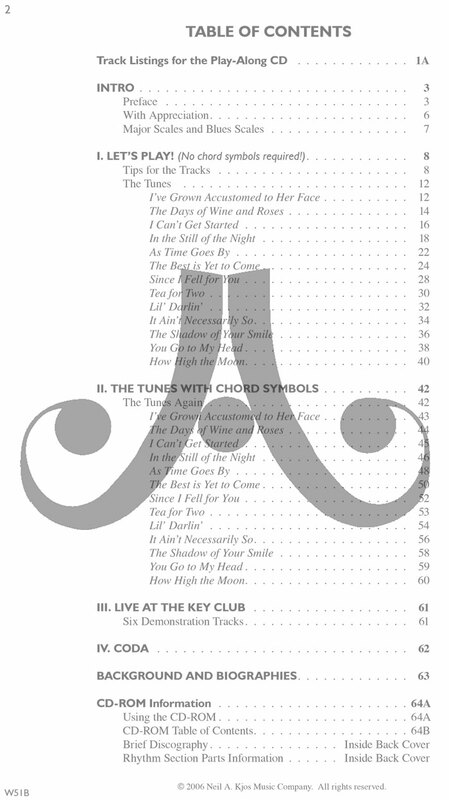 Are you intimidated or challenged by all the chord symbols within the standard tunes of The Great American Songbook? Do you feel limited to the relative safety of blues and modal tunes? Are you a beginning improviser just starting out? With Cutting the Changes, you’ll get right down to business!If you can PLAY or SING even half of your major scales already, you’re ready to dive in. 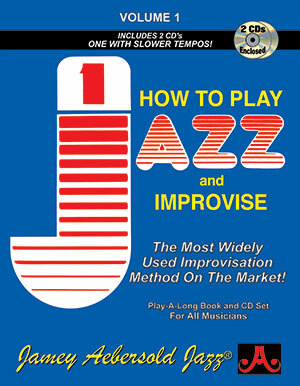 A book with sheet music for improvisers struggling with standard tunes. A Play-Along CD with superb rhythm section accompaniment. 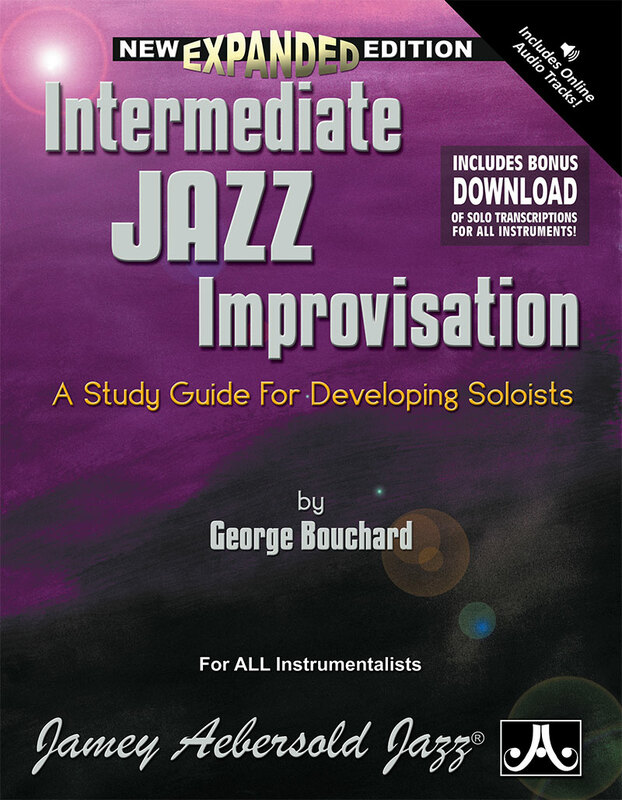 A CD-ROM packed with theory instruction, listening examples, a discography for musicians who want to learn more, and printable accompaniment scores and parts for optional live rhythm section. 1. Who is this book for? 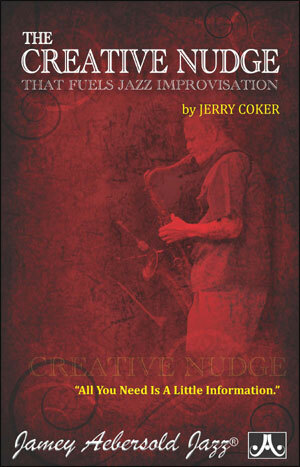 This book is for beginning to intermediate improvisers from middle school through university level. 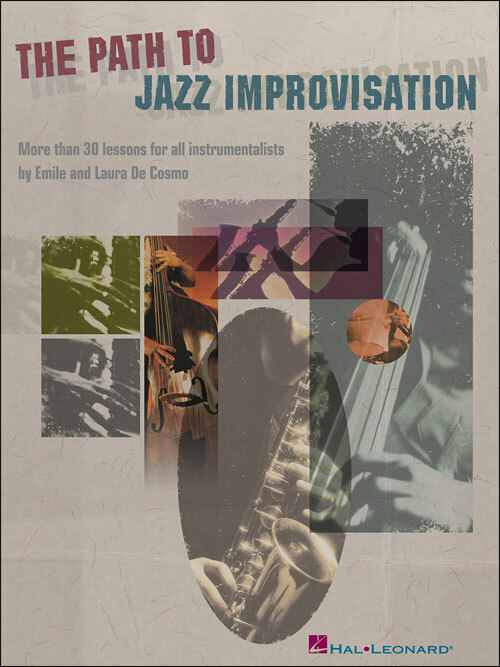 It is also for experienced improvisers (including instructors) who want to explore a key-centered approach to improvisation. 2. What do I need to know to use this book? Students only need to be able to play their major scales, all of which are included in the book. Optional blues scales are included to help to color the improvisation. 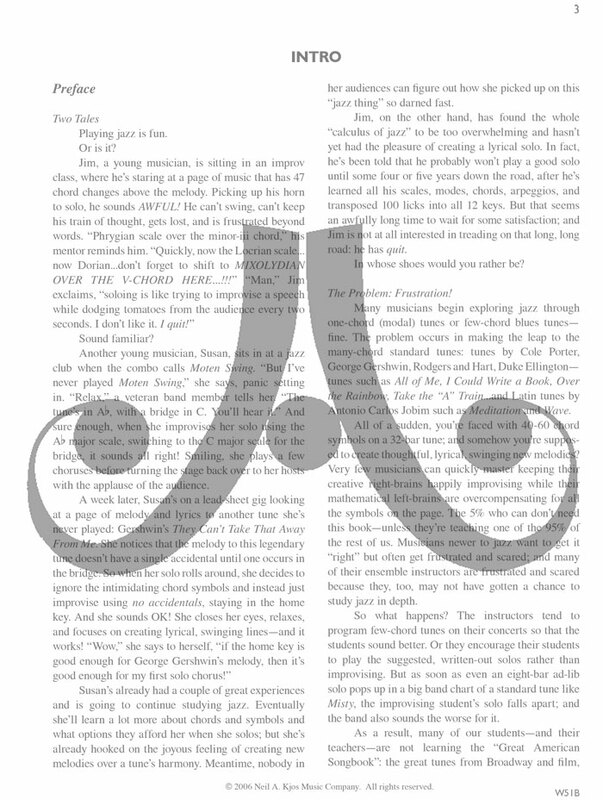 If students want to play the melodies from the book, they need to be able to read music. 3. What is the Play-Along CD? The Play-Along CD features a stellar rhythm section - with Bass and Drum mixed on the left channel and Piano and Drum mixed on the right channel, you can practice along to either duo, or to the full backup trio! Bonus tracks include six tunes with trombone soloing, remixed to sound “Live at the Key Club,” a jazz-club setting for demonstrating all that you have learned! 4. What is the CD-ROM? The CD-ROM includes a PDF that is an optional companion text to the printed book. 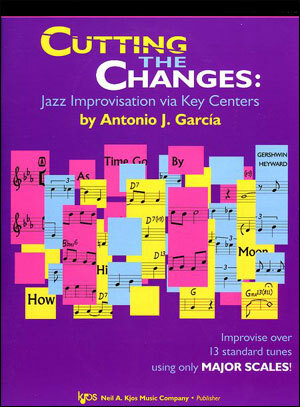 The print portion of Cutting the Changes enables you to improvise successfully without having to learn music theory. 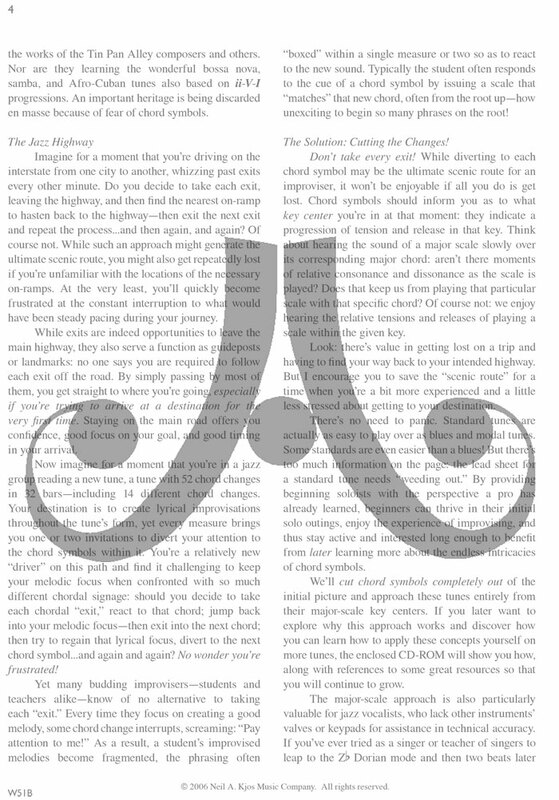 The CD-ROM text teaches you why this approach works and how you can learn to apply it to other standard tunes of your choice, including a discussion of music theory. Music Education and Jazz Pedagogy classes can apply these key-center concepts towards their own teaching of beginning and intermediate improvisation students. If you prefer to practice with a live rhythm section, sets of optional, printable rhythm scores and parts for these tunes are included on the CD-ROM. Highlights include a score plus fully notated parts for guitar (optional), piano, bass, and drums, matching the Play-Along CD in song form and general content. Suggested voicings, fretboards, bass lines, and drum grooves make the music playable. 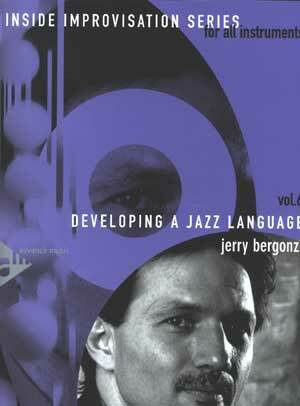 And each rhythm-player can use the Play-Along CD as a stylistic model for practice. 5. Will this book work for vocalists and string players? Yes! To find the right book, please refer to Question 6. 7. 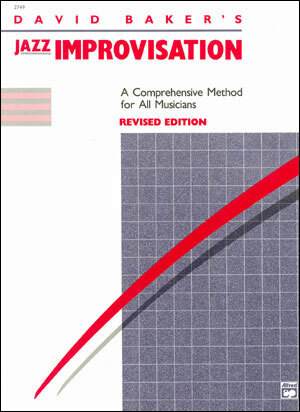 Is this book designed to teach rhythm sections? 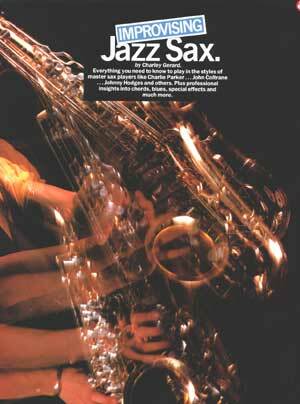 This book teaches single line soloing, which applies to the instruments in the rhythm section. It does not teach other rhythm section techniques such as voicings, bass lines, comping, and drum grooves. 8. Why is there no director score? The main use of this method is for individual practice, in which case no director score is needed. To use this method in a group or class setting, however, the instructor should buy the book appropriate for her/his instrument, or simply the C Treble Clef Edition, and work through the book with the students.